Hi guys. 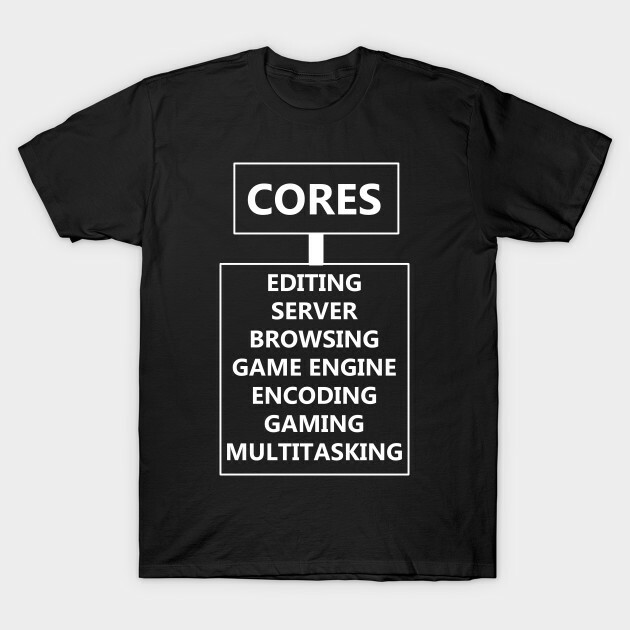 This time, it's about processor quote on T-Shirt. 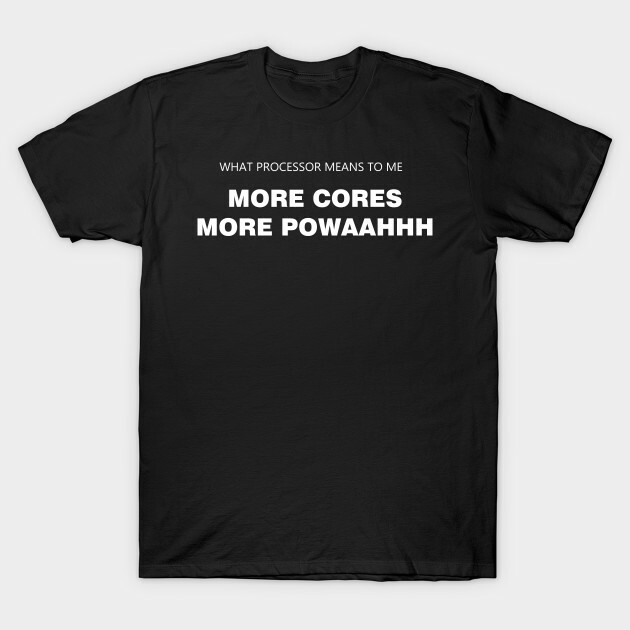 What is it means to have more cores on CPU ? Well, translate it on the T-Shirt. Last edited by MNUR90; 06-19-2017 at 12:39 PM. Is it 50% polyester or 60% polyester? That is how I prefer my shirts to be. This is what I get from Teepublic Faq : We use 100% Cotton for our classic solid color shirts, 90/10% Cotton/Polyester blend for our 'Heather Grey' and 50/50% Cotton/Polyester blend for our colored Heathers. Our other products may differ in fiber content; you can check that out by selecting the product youâ€™d like and clicking â€œGarment Info.â€� You can also send us an email at support@teepublic.com if you have any questions about specific items!. Why crap ? I mean what happen ? You don't like the T-Shirt that they used ? Last edited by MNUR90; 06-19-2017 at 12:47 PM. I bought the PSU on and it's fantastic.